On October 7, Ran Neuner tweeted that the Bitcoin (BTC) is about to explode. 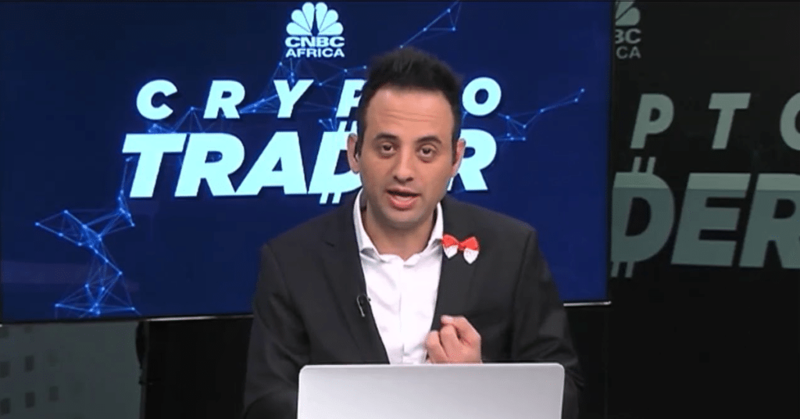 The cryptoanalyst, and a host of popular CNBC’s show “Cryptotrader” expresses confidence in rising price of Bitcoin. It must be so since Ran claims he even bought Bitcoin for his parents. The logic behind the argument lies in the upcoming decision on several Bitcoin Exchange-Traded Fund (ETF) applications by the U.S. Security and Exchange Commission (SEC). Also, the fact of last year’s surge supports the argument. The crypto analyst points out that cryptocurrencies moved from $6,691 (Nov 11) to $20,000 (Dec 17). The surge owes to the launch of cash settlement of BTC futures contracts. Bitcoin casinos also saw an activity surge in that period. In retrospective, the U.S Commodity Futures Trading Commision (CTFC) issued a confirmation for the Chicago Board Options Exchange (CBOE), and the Chicago Mercantile Exchange (CME) were eligible to launch Bitcoin futures. In the period from December 11 to December 17, the CBOE and CME were first to issue them, and soon Bitcoin reached a stellar high of $20,000. Neuner finds a lot of similarities between Bitcoin futures and SEC’s decision on the first Bitcoin ETFs. It should impact the trading of Bitcoin, casinos, user to user, stores and alike. And the Bitcoin ETF, requiring an actual purchase of the BTC, should ensure a “much greater” cash settlement than Bitcoin future contracts. The Bitcoin ETFs helps Bitcoin to reach mainstream investors since they don’t have to interact with the commodity, cryptocurrency in this situation, directly. Analysts expect that such use would lead to higher recognition of Bitcoin, eventually even on Wall Street. The SEC scheduled the deadline for the application review for the November 5, but the date of the actual launch of Bitcoin ETFs remains unknown. However, even then the trading at Bitcoin casinos shall remain unaffected. During the July this year, the SEC rejected the application by the Winklevoss brothers. After the rejection, SEC made a statement of “dissent” of the Winklevoss appeal. The rejection should “inhibit” the institutionalization of the BTC market.